One of the more contentious industries served by third party collections are fitness membership accounts. It is a high-volume industry that impacts many consumers across the United States and Canada. A study published by IBISWorld in January of 2013 detailed 2,447 fitness clubs in Canada and 24,501 clubs in the United States for a total industry revenue generated of over $28 billion dollars a year. Fitness collections have several patterns that carry across clubs and brand titles. Typically, a fitness club will charge their members a monthly fee, and have them sign a contract obligating them to a term of membership (often one year as a minimum). If a member fails to meet their obligations, or breaches their contract a balance of anywhere from $200 to $2000 can be incurred. Most consumers who end up with a fitness debt are stable consumers who value their credit rating – they have disposable income, and as such often use credit to maintain their standard of living, purchasing houses, cars, or seeking credit for large purposes. These consumers, if they understand the ramifications of credit reporting, often want to resolve their accounts to avoid a negative rating on their bureau. However, there are challenges on the opposite spectrum. 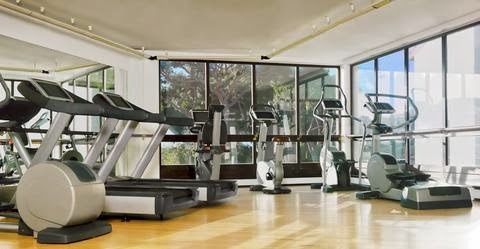 Either the fitness club’s contract is not clear, or the consumer does not understand that by joining a gym or club, they may have a financial obligation for a year or more of monthly membership fees, along with a cancellation or late fee. There are a significant segment of consumers that are challenged to understand their financial obligation. If just 2% of the memberships end up as delinquent, that would be $560,000 million dollars a year potentially being assigned to collection agencies. It has been my experience that if an experienced collection agency is properly representing a fitness club they can expect between 20-35% liquidation on accounts assigned to a collection agency. Trace accounts can typically represent 40% of inventory, which can be the most challenging segment of the accounts, but another important segment are contract disputes or misunderstandings, which can represent another 10-15% of assigned accounts, which I address below. Unlike collections for telecommunications, medical services, auto finance, or other high demand services that can be considered necessities for western culture, or near-necessities, often fitness club memberships end up as luxury items for consumers with at least a modest disposable income – and as a luxury item, often consumers will let automatic payments lapse unintentionally due to moving, or a change in banking information. Also, these consumers rely on a behavior pattern to attend their fitness club – an injury or change in work schedule, or even just apathy can cause a change in attending the club, making the service provider ‘out of sight, out of mind’. The consumer honestly doesn’t remember that they signed a binding contract. In a certain segment of fitness collections, a hard dispute will be made by the consumer – either they do not interpret their contract as the fitness club does, claim an exception or invoke a clause in the contract to negate the obligation (such as injury, moving out of the geographic area, or written notice provided in advance). For whatever reason, a portion of these consumers believe the contract deficiency shouldn’t be enforced. Other members have honestly forgotten about the account, or have not been contacted previously before being assigned to a collection agency – they are more than willing to work with an agent, and repay their debt in a lump sum or payment schedule, or even pay their past due amount and rejoin the club, if treated fairly. Big or small, fitness club companies have a huge range of attention and methods to handle their past due accounts. In a small club, the owner wears many hats, and has a wide number of issues demanding their attention – often past due accounts get neglected where a call might resolve it. As well, these club members have met face to face or even socialized with the club staff and management, so creating a sense of urgency and authority can be a challenge. Some clubs refuse to put their files in collections for fear of community backlash, often writing off thousands of dollars every year. For larger clubs and fitness chains, there is not often an organized credit department for screening members – meeting a minimum of criteria by filling out a member application and contract is sufficient. At the other end of the credit cycle, there are often limited resources for contacting past due customers and getting them back on track with their monthly fees. Most fitness clubs are small, single location entities, or are independent franchise locations under a parent brand identity. As such, individually they have a low volume of accounts to assign to collections. As a result, larger collection agencies often overcharge or under-service the club owners, putting them in the back seat to larger clients. To a typical collection agency manager, a club owner calling for an update on their 50 accounts is a nuisance – the club owner deserves better than that. However, small agencies that can provide attention and support to the ‘small client’ may lack tools such as credit reporting, manpower to properly work the collection accounts, or the ability to produce reports or information to assist the club owners who could use their expertise. A club owner should make sure they have good communication channels with their agency, and that they are working their accounts diplomatically, and are maintaining community goodwill. Hard disputes need to be purged from the credit bureau if necessary, and attention to detail is essential. When in collections, the best approach to these customers is a diplomatic, soft approach with knowledge of the contract itself – having the terms on hand to explain the obligations often will help resolve the matter. These consumers do not need to be verbally bludgeoned or treated to ‘hard-core’ collection tactics. The average debt balance owed to a fitness club is usually $200-600, so legal action should not be considered nor threatened. As well, the club wishes to maintain good will and a positive brand image in a local community, so the agency should keep that in mind when dealing with disputes or uncooperative consumers. If an account is disputed, it’s usually best to ask the consumer for their dispute in writing, and confer back with the club owner or management to see if they wish to enforce the contract or accept the dispute. Sometimes this will involve a negotiated settlement, or simply the closure of the collection file to maintain good will. Lastly, it’s in the club’s best interest to retain their memberships – they are not national telecommunications firms or financial institutions, one club member matters to them, and should be retained if possible. If a member can be convinced to pay their past due account and bring their contract into good standing, that’s best for everyone, and the agency should be prepared to offer that option. Lastly, the agency needs to communicate with the club – whether reporting payments, working out disputes, or maintaining community goodwill, it’s important to keep an open line of communication. Almost every state and province have specific laws regulating fitness clubs, specifically their contract terms. Some areas allow for a ten-day cooling off period, a maximum contract length, or a maximum cancellation or penalty amount, or even dictate how notification of cancellations are to be delivered by the club member. Both the agency and the club owners need to recognize the laws that outline membership obligations, and need to stay on side of the regulations that govern this industry. As always, if you have a question regarding fitness collections, and how it pertains to you as a club owner or a consumer, I’m happy to talk with you if you have a question. I can be reached at Kingston Data and Credit at 226-946-1730.